If you’re looking for a new pet, you might have found yourself frustrated with the myriad options available to you. There is no shortage of excellent potential companions out there. Owning a pet is a great way to improve your relaxation and overall health. Having a dog or cat, though, can be impossible for people with limited space or financial means. The solution? A low maintenance freshwater fish. Millions of households in the United States keep freshwater fish, making them the most popular pet of them all. The best part? Freshwater fish are easy to care for and beautiful to watch. 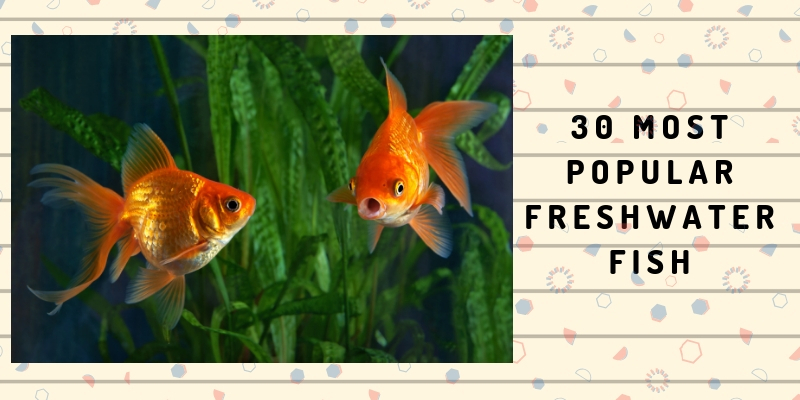 If you’re in the market for a fish to add to your tank, you must take a look at our ranking of the most popular freshwater fish. 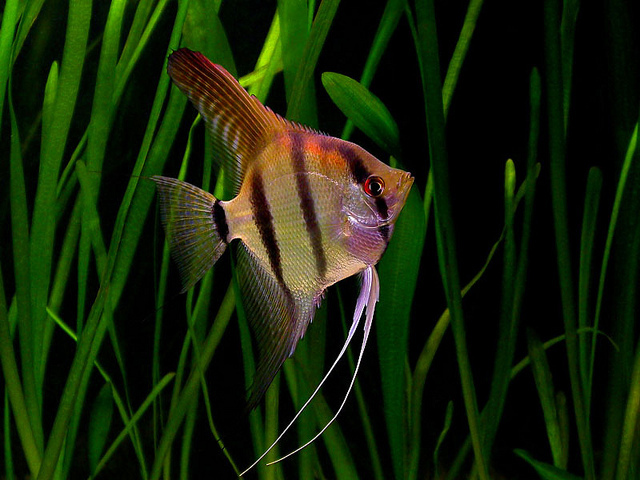 A member of the large Cichlid family, the Angelfish grows quite large and is omnivorous. The fish can be aggressive, engaging in ocasional fin-nipping behaviors, but are otherwise good community fish. Native to the rivers of South America, this is one of the oldest and most popular fish kept by hobbyists. 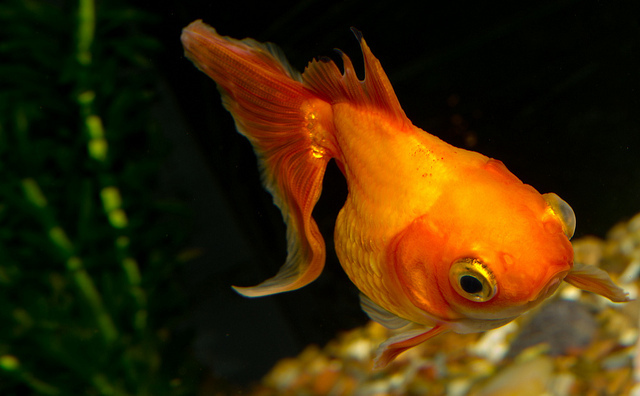 In the wild, goldfish can grow up to fourteen inches in length! However, when kept in captivity, they will typically stay a bit smaller. There are many different types of goldfish, and you can intermix them with each other as long as they do not compete for food. 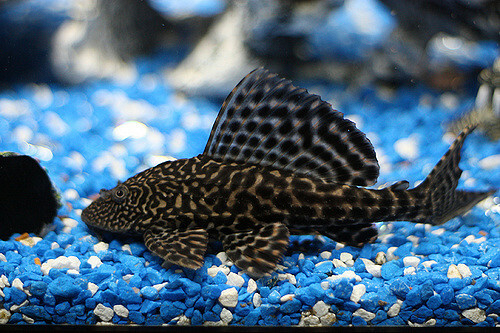 A type of catfish, Plecostomus fish are unique in appearance, sporting heavy, armored plates. 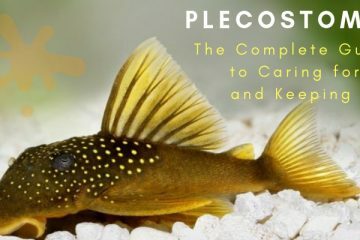 These fish are a good option if you are looking to rid your tank of excess debris, as they eat algae and can also eat meatier foods like brine shrimp. These fish can live up to twenty years, and need tanks with lids, as they have a tendency to jump. 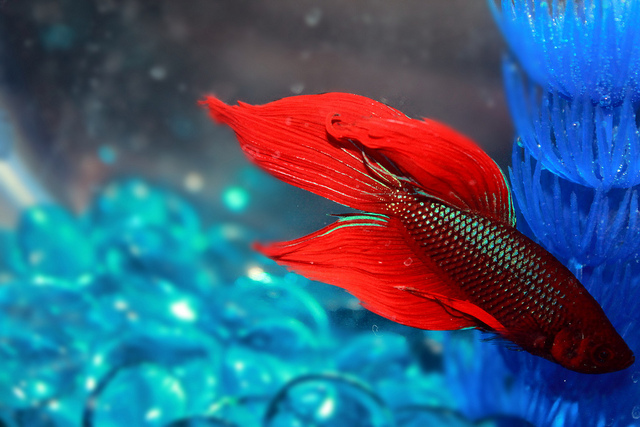 Betta fish aren’t the freshwater fish to try to keep if you are a beginner aquarium hobbyist. These gorgeous, brightly colored fish are known for being aggressive, with the males notoriously fighting each other to the death – hence, their apt nickname of Siamese Fighting Fish. That being said, if you have a large tank and are able to house betta fish with similarly sized tankmates (not other bettas), you should have no trouble raising these elegant fish. 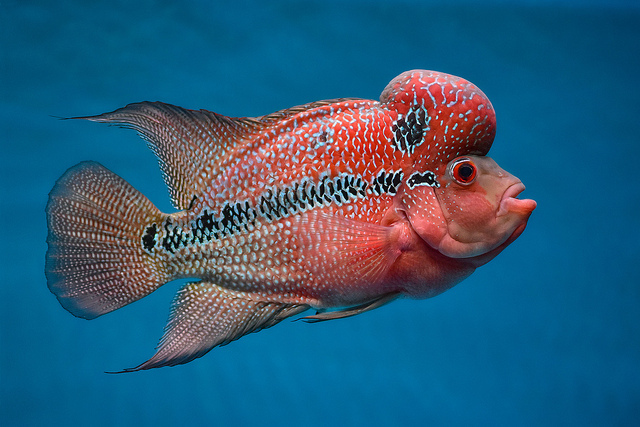 These freshwater fish are arguably some of the most unique in appearance, sporting a large bump on its head – hence, the flowerhorn. They come in bright pastel colors and can be a bit more aggressive in behavior. Living up to twelve years in captivity, this Southeast Asian native is highly intelligent. 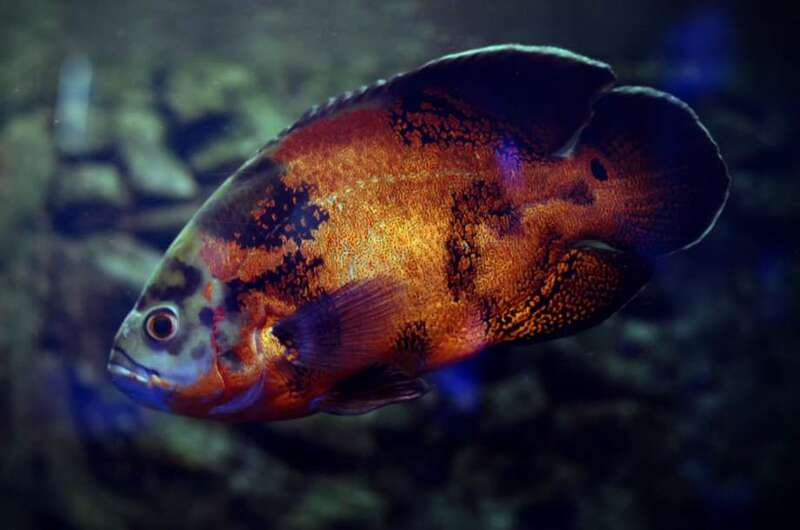 Another fish in the Cichlid family, the Oscar is also known for its rich color patterns and is extremely popular with skilled aquarium hobbyists. Native to South America, this fish can be fed live or fresh foods and needs more Vitamin C than other fish. Therefore, it can also be fed fruit. 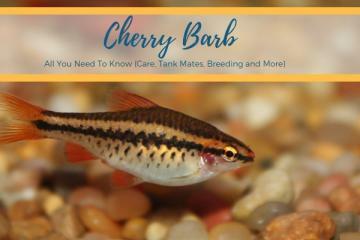 It is highly intelligent but can be aggressive toward other fish. 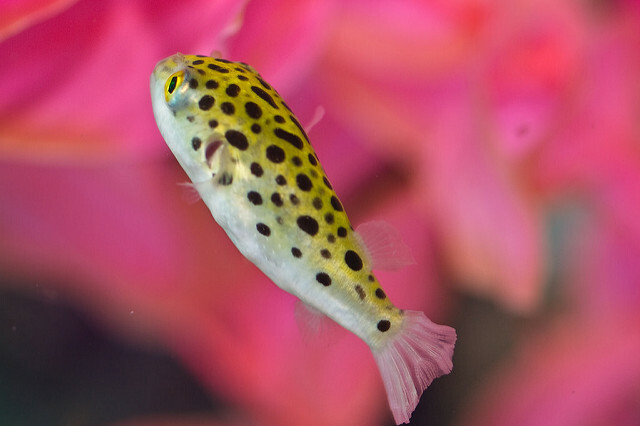 The Green Spotted Puffer Fish is one of the more challenging puffer fish to raise in a freshwater tank, thriving best in a brackish environment. That being said, it can be kept in a freshwater environment as long as you filtrate and pre-cycle the water. Native to Southeast Asia, the Green Spotted Puffer Fish eats both snails and meat, and will feed constantly if you allow it to. It can be kept by itself or with other species if you are able to provide it with an exceptionally large tank. There are thousands of different kinds of killifish in the world, all varying drastically in their appearance and behavior. 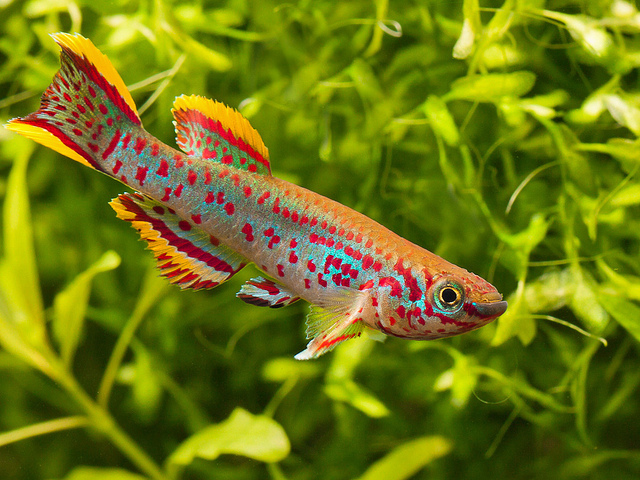 However, most like to jump, so it’s important that you have a lidded tank if you are planning on keeping killifish. These fish can be aggressive, males in particular, but are otherwise easy to care for. 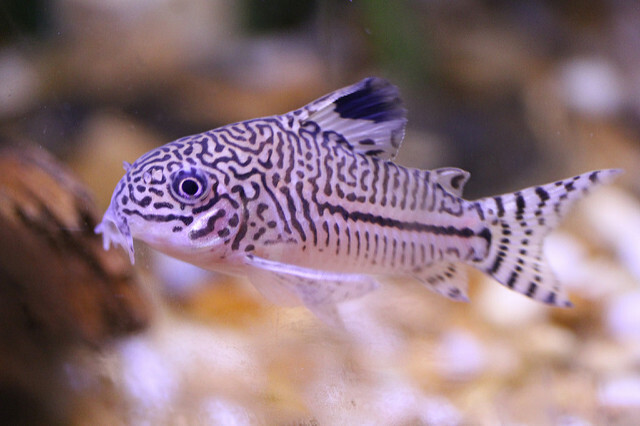 The Corydoras Catfish is a great option for beginners, coming in a range of colors and sizes. They are easier to care for than other types of catfish, but as bottom-dwelling scavengers they are an easygoing fish for any kind of tank. They should ideally be kept in groups of six or more, but do well with a variety of other tank companions. This fish is rare in the wild, listed as critically endangered and possibly extinct. Technically a freshwater amphibian, this fish is also known as the Mexican Salamander. Nevertheless, it remains a popular option for experienced fishkeeper. Predatory by nature, it should be kept in isolation and fed pellets or fresh food. 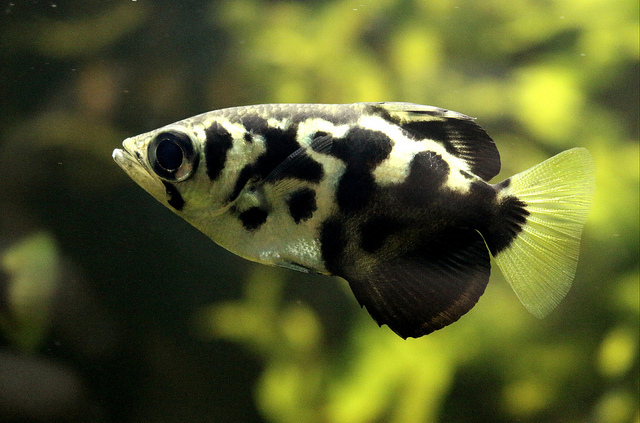 If you are looking for a fish that will keep you entertained, look no further than the archerfish. This unique fish is famous for its spitting habits that allow it to shoot down prey in the wild. 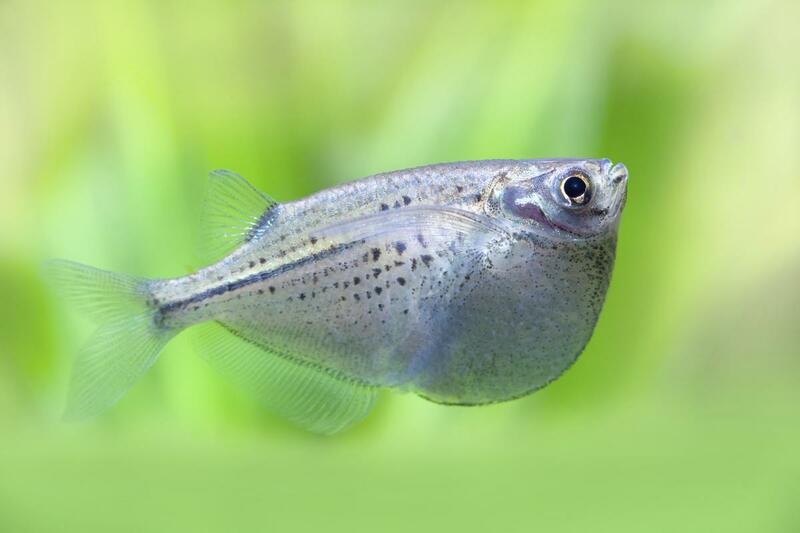 While they won’t necessarily initiate this behavior when in captivity, you can train your archerfish to hunt for its food by feeding it live prey. Because the archerfish prefers live foods, it’s not ideal for beginners, but it is a good tank mate for a variety of other fish species. 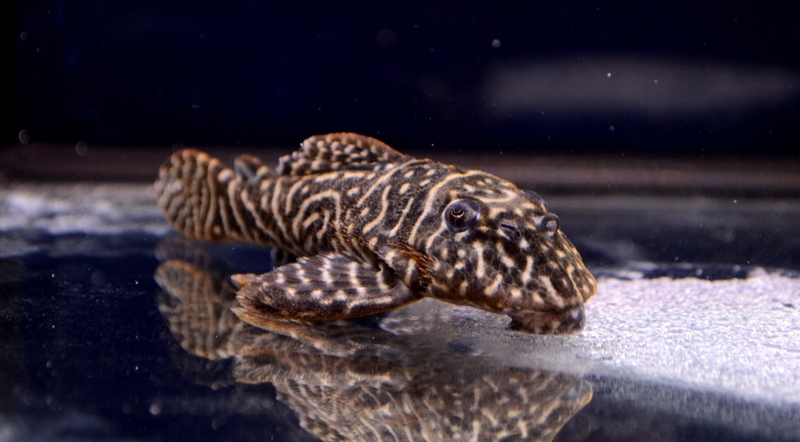 Tiger Plecos fish can grow quite large, up to five or six inches in length, and they tend to enjoy plenty of hiding spots. As a result, you will need a tank that is also quite large, as well as one that can provide a steady, strong current. However, these nocturnal fish get along well with other fish species and can eat a range of foods, from algae wafers to bloodworms, making them easier to care for in some other regards. Also known as datnoid fish, Siamese Tigerfish are one of the most beloved natives of Southeast Asia, closely monitored due to their status as critically endangered. 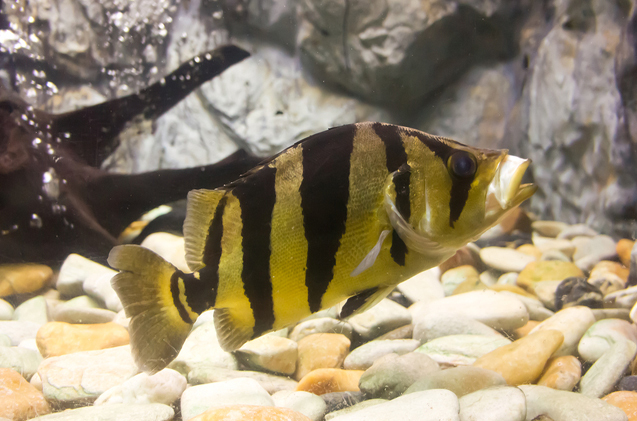 These fish have remarkable yellow and black stripes, growing up to twenty inches long in captivity. Siamese Tigerfish can be aggressive towards their own species, and have been known to eat smaller fish as well, so it’s best to keep them with similar or larger sized fish whenever possible. These fish are unusual, rainbow-patterned fish that are native to the freshwaters of the tropics. They like to eat algae-based flake food and thrive when kept in small groups. 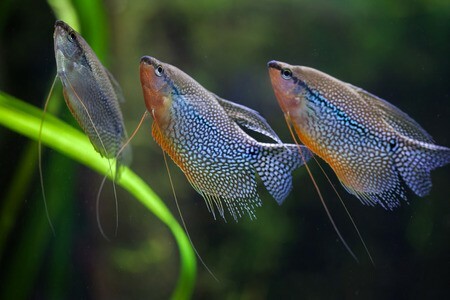 You should keep pearl gourami with similar-sized companions, as these shy fish will hide if they feel threatened. The glassfish doesn’t have quite as long of a life expectancy as some of the other fish we’ve profiled, mostly because it is more prone to infection that can cause an early demise. That being said, these unique fish are worth the gamble. 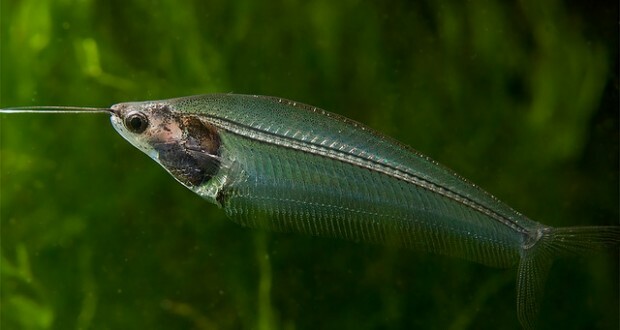 Highly exotic and unusual, the fish are completely translucent, allowing you to see their skeletons and internal organs. They are best kept in groups of five or more and are generally quite calm. 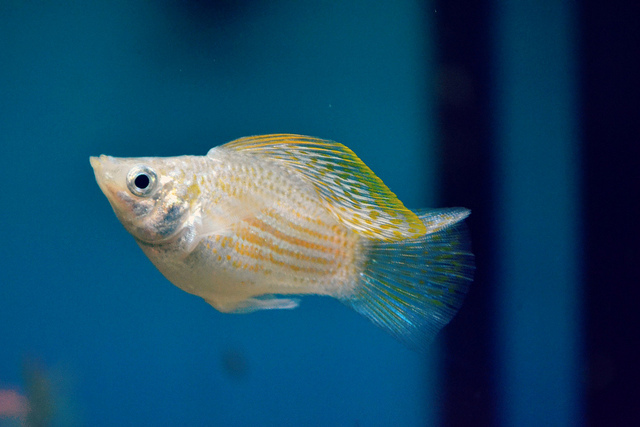 If you’ve ever frequented an aquarium shop or pet store, you’ve probably noticed that there are thousands of types of cichlids available. The convict cichlid is one of the most popular, named for the bars of black and white that line its body. These cichlids can be quite territorial, meaning you should avoid keeping them with other fish besides cichlids, but besides that are extremely easy to care for. 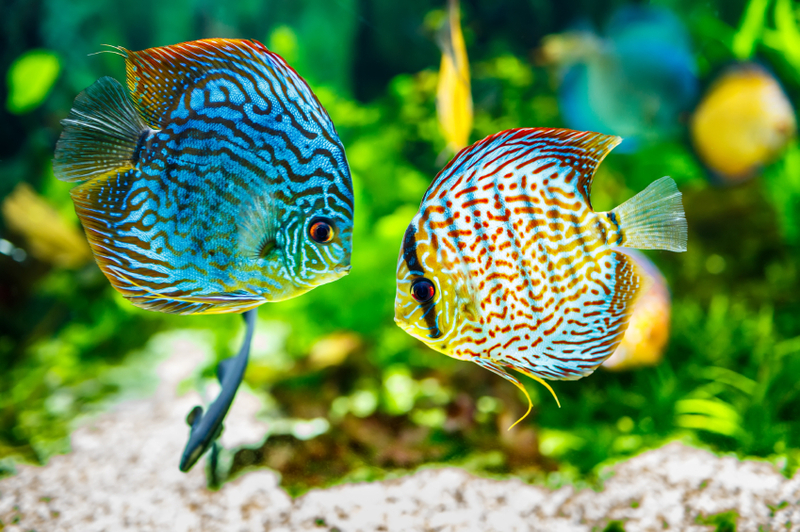 Discus fish are also technically cichlids, although they differ quite drastically in appearance from other cichlid types. They are unusually patterned and colorful, available in a number of shades and designs, from checkerboard to royal blue. These fish are easy to care for but are susceptible to illnesses caused by chemical fluctuations in the water. You should only invest in a discus if you have time to change the water on a regular basis. These aptly-named fish have tails in the shape of swords and are very easy to care for. They prefer slightly brackish waters, and are slightly larger than most other freshwater fish. Available in a wide variety of colors, these North America-native fish can be fed just about any type of flake or live food. If you’re looking to try out a puffer fish for the first time, the Figure 8 is a good option, as it’s easier to care for than other types of puffer fish. 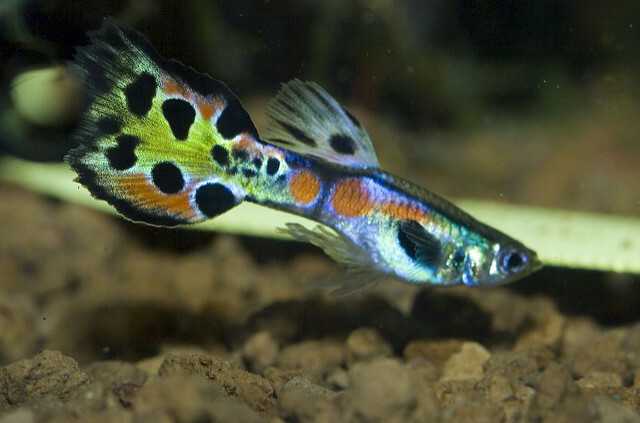 This fish has gorgeous markings but has been known to be aggressive, meaning you will want to keep it isolated unless you have a particularly large aquarium. The Figure 8 Puffer Fish can be fed flake foods or even snails, but it’s tank setup can be difficult as it is highly sensitive to chemical imbalances in the water. The Arowana is not for the faint of heart, weighing in as one of the largest freshwater fish species you can own. It is also one of the most expensive. Because they can jump several feet above the water’s surface, you also need to keep a lid on your tank. These dominant fish should be kept alone, and need to fed three times a day. However, they are fascinating to watch and absolutely gorgeous in appearance, making the added work well worth it. 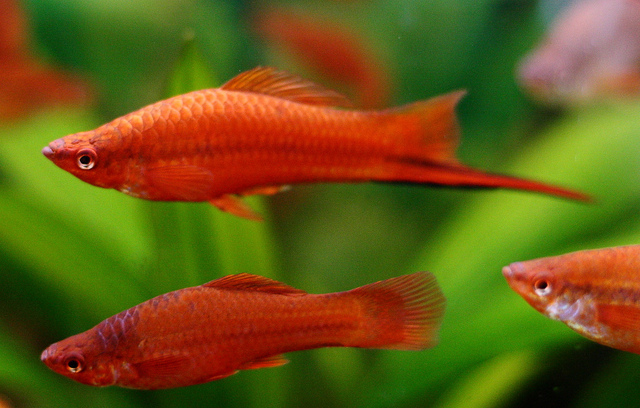 This common freshwater fish is native to the tropics and comes in a gorgeous cherry-red color – hence its name. Growing up to two inches in size, is it commonly found in Sri Lanka and prefers to eat flake foods. However, it can also be fed fresh or frozen vegetables and live foods as well. Males of this breed can be aggressive, so it’s best to keep them in a group of five or more individuals with a 2:1 ratio of females to males. Mollies are typically sold in black or white colors, but can be found in multiple different color variations. 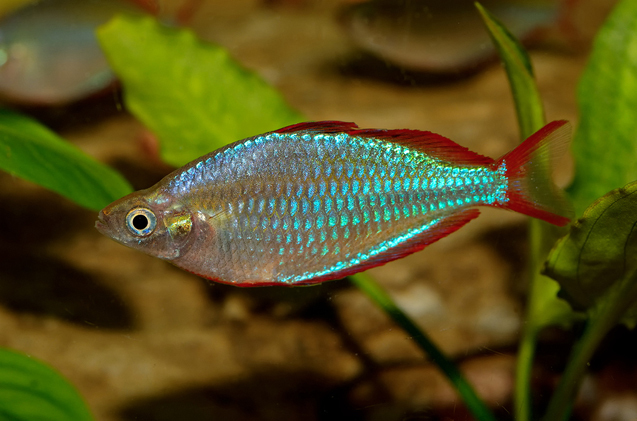 They are bred as either short- or sail-finned, with short-finned mollies being the more popular of the two. These fish get along well with other mollies and fish of other species, but keep in mind that you should not keep adult mollies with juveniles, as they are known to eat their young. Feed your mollies flake food and fresh vegetables for optimal health. 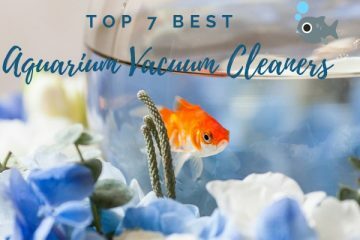 Oscars are the most intelligent aquarium fish available, and have the ability to even perform tricks when properly trained. They are not community fish, however, and should be kept in isolation or only with other oscars (in groups of five or more) as they can grow quite large. They can be hand fed and are carnivores by nature. These cute fish look exotic and challenging to raise, but the opposite is actually true. 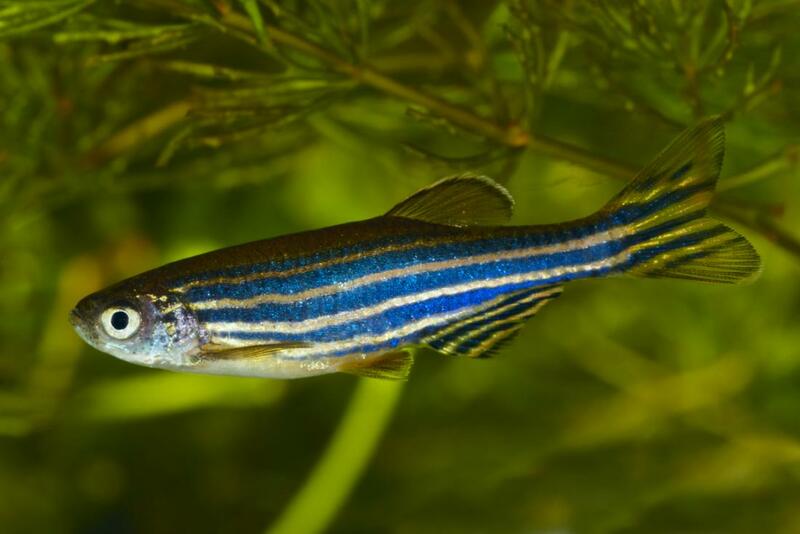 Beloved by pet owners because they mate for like, zebra danios breed prolifically in the wild, spawning up to 400 eggs at a time. These fish live up to five years and can be kept in large groups with a variety of other fish. 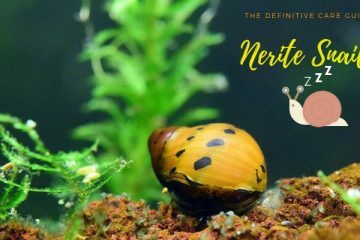 Platies are another great option for beginner aquarium hobbyists, offering plenty of color for a minimal amount of work. 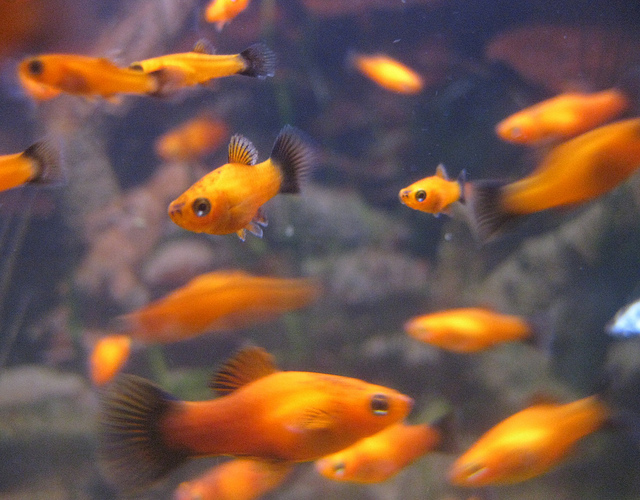 These fish are available in a range of colors, from orange to blue and even white. 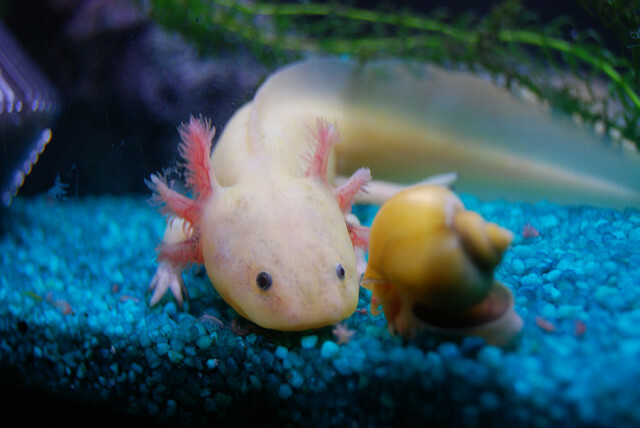 They should be kept in groups, ideally with a ratio of two females to one male to ensure a peaceful tank environment. Originating in Southeast Asia, the Rainbowish is a peaceful species that tends to live in schools. Their colors only begin to show once they reach adulthood, displaying stunning rainbowlike displays of colors as they age. They can be kept with a number of other schooling fish with great success. These calm fish are native to South America and are an ideal freshwater fish for beginners. They adapt easily to a variety of conditions, and are available at just about any fish store. You don’t need any special equipment to keep these fish alive, and they live for quite some time before succumbing to old age. Feed them with flake food or fresh brine shrimp and try to keep more than one at a time so that they are happy and entertained. 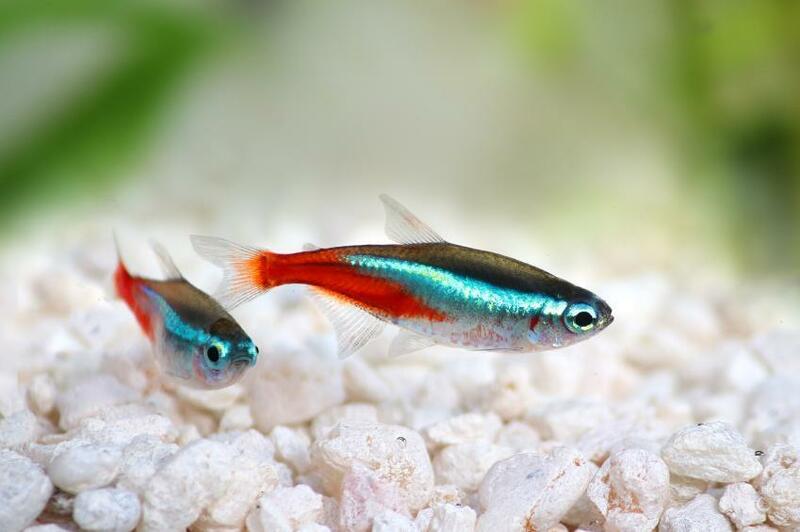 One of the most popular freshwater fishes sold in the United States, Neon Tetras are best known for their iridescent, practically glow-in-the-dark stripes that run along their bodies. These adaptable fish can respond to a variety of conditions and get along well with other fish. Native to South America, they prefer to eat flake food but can tolerate great variety in their diets. 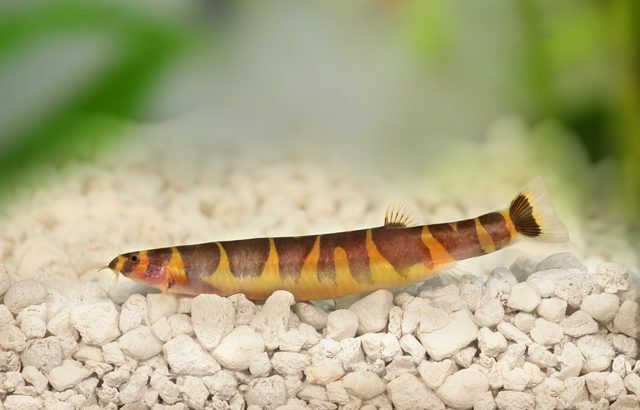 Kuhli loaches are freshwater fish that are slightly different in appearance than other popular tank species. They are easy to care for and unique, with bodies that look more like those of eels than of other fish. As low- maintenance fish, these creatures are native to Southeast Asia and prefer to be fed sinking food pellets or live food. Hatchetfish get along well with other tankmates, peaceful except when they encounter other hatchetfish. Even then, they are merely grumpy at the very worst. They are native to South America and have the interesting habit of jumping out of tanks when startled, so make sure you keep a lid on top of your tank to ensure their safety. If you’re thinking of keeping freshwater fish, you’re in luck. 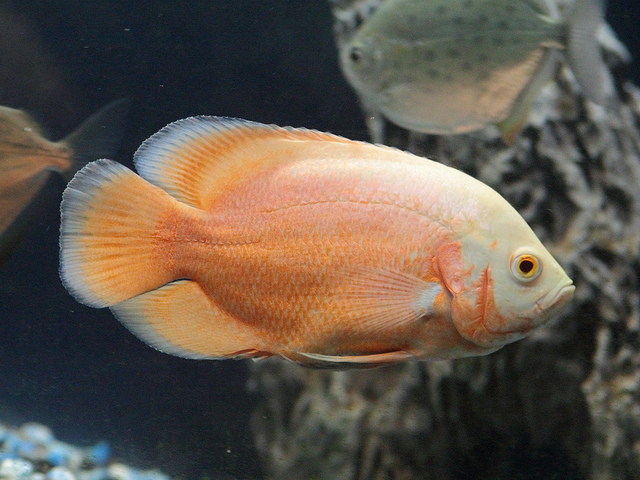 There is a freshwater fish for every size tank, budget, or personality. 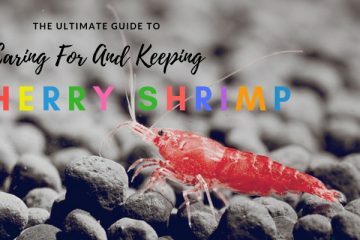 These pets offer an easy, low-maintenance option for pet owners, allowing you to start off your fishkeeping hobby with success. 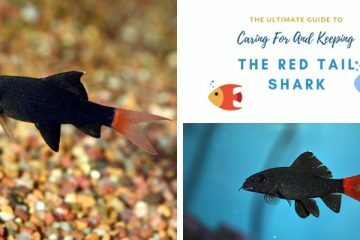 When you’re looking for the right freshwater fish to keep in your home, remember that you should only select fish that you can reasonably care for in the long term – some of these fish might outlive you! 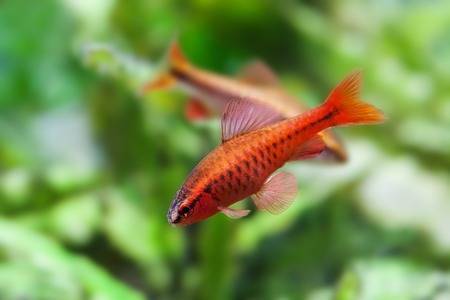 That being said, freshwater fish are fantastic pets that are not only enjoyable to keep but will give you greater insight into the interesting, engaging world of fishkeeping.